Incomlend is a unique invoice exchange connecting businesses and private funders on a global level. The Incomlend platform serves as a marketplace where funders with capital can purchase trade receivables from suppliers at a discount. As a result, Funders get profit from the discount, while the Supplier get cash on the spot. We are the first platform in operation to fully insure the capital of our funders against Buyer payment default on all of our trades. Our Credit insurance is provided by a world leading insurer specialized in international Trade finance. Furthermore, funds are secured on a segregated account managed by an independent trustee, limiting the risk of funds misuse by the platform. Global scope. We are the first platform to offer funders an unprecedented worldwide diversification opportunity allowing them to be positioned on multiple countries and currencies. Profitability. By accessing our invoice discounting trades, funders benefit from superior return levels as compared to current options for short term liquidity placements. The invoice repayment cycles are short (up to 120 days) allowing investors to accelerate capital rotation and profit, while keeping liquidity accessible in the short term. What are the three main advantages for borrowers (Suppliers)? Global Scope. We are a natively international platform, offering Suppliers to fund their Export receivables in multiple countries and currencies, while also covering their domestic receivables. Funding flexibility: We provide Non Recourse funding and require No collateral. Suppliers can access funding without long-term contracts or obligation to channel all the sales through the platform are required. Funding is provided off balance sheet, allowing SME’s to keep their indebtedness intact. Funding efficiency: 100% of funding requests on the platform are filled, funding lasts less than a day on average. More than 10% return annualized, net of fees, if capital reinvested on an annual rolling basis. How does Incomlend rate the creditworthiness of invoice sellers and invoice buyers? Our main focus is on the Buyer payment risk, as funding is provided non-recourse to the Supplier. The Buyer payment risk is covered by a worldwide credit insurer, which applies its own internal rating to each Buyer prior to onboarding on the platform. Each Buyer must be rated between 1 to 5 (out of 10, 1 being no risk and 10 being high risk), as per our Credit Insurer’s classification. Incomlend does not provide so far an internal rating on Suppliers, as the risk is not borne on them and as any type of internal rating would be considered as Financial advisory, requiring specific financial licences under the Singapore regulation. Incomlend provides objective data on the features of the Buyer-Supplier relationship map, such as invoice confirmation, goods confirmation, length of buyer-supplier trade relationship, leaving room for jusdgement to the investors. Can you please describe how the integrated insurance works and the benefits it offers? Our insurer covers up to 90% of the invoice face value, and Incomlend finances maximum 90% as well, which means that the capital invested by the funders into each invoice is 100% covered. The insurance protects the investors against risk of default from the buyer (situation where the buyer does not pay the invoice at maturity). At the onboarding stage, each Supplier is required to provide information on its buyers. Each buyer is then screened and financials analysed by Incomlend. Subsequently, should the Buyer satisfy our internal scoring matrix criteria, the Buyer is submitted for Insurance coverage approval to the Credit insurer. If the Credit insurer accepts to cover the buyer, a maximal funding limit will be set by the Credit Insurer, which Incomlend monitors to prevent crossing the maximum allowed coverage mark. If the Credit Insurer refuses to cover the buyer, the Supplier’s invoices issued to that buyer will not be paid. If there is a buyer default, the Credit Insurance is activated and funds are reimbursed starting from 60 days after default (maximum possible reimbursement limit is 270 days, depending on the specific situation of the buyer and recovery actions involved). The front end of the exchange platform has been developed based on a white label solution, while the back office systems have been customized in house based on a standard solution. What was the greatest challenge so far in the course of launching Incomlend? An important challenge was striking the deal with our Credit Insurer, which was reluctant at first to work with a fintech platform, a totally new framework for them. Can you please describe the market environment and regulation in Singapore? The Monetary Authority of Singapore (MAS) is the financial local regulator. The MAS is strongly backing and promoting the fintech sector in Singapore, the ambition being to become a major international hub for fintechs. The MAS provides a flexible and advantageous environment for fintech, involving as well major financial instutions for the regulatory sandbox. The MAS has been observing the fintech industry and so far has not regulated the sector as the FCA did in the UK. Howver, the MAS talks directly to different platforms and monitors activity to make sure investors are protected. Some platforms, for instance, have been required by the MAS to obtain a financial advisor licence due to their loan activities. Under the MAS Securities act, a trade receivable is so far not considered as a security, while trading invoices at a discount is not considered as a loan provision activity, which involves interest accrual. Incomlend applies international KYC/AML standards to all its clients while creating progressively a reserve capital by deducting a targeted percentage from each trade. Introducers, Agents, Chambers of Commerce, Professional Associations, Forums and conferences, Business services networks (insurance, accounting, incorporations), Private business clubs, VC/BA clubs and associations, Private Wealth management networks, PR, SEO, targeted digital campaigns, social networks and other online media. Is Incomlend open to international investors? Absolutely, this is natively the Incomlend model. Where do you see Incomlend in 3 years? In 3 years, we see Incomlend crossing the 1 billion USD mark of funded invoices on the platform, world leader of invoice trading and supply chain based on the marketplace funding model. We also see Incomlend in 3 years as a provider of a diversified range of trade finance instruments (including LCs, payables finance, guarantees), as well as a market reference in terms of digital invoice payments and exchange standard protocols. 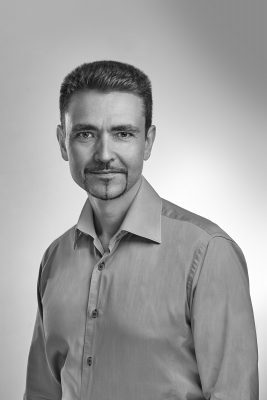 P2P-Banking.com thanks Dimitri Kouchnirenko for the interview. It’s an interesting concept but the website ls not reassuring. It gives sparse, if any, information about the owners or the company itself, does not disclose the name of the insurer, does not list any projects and the English text has not been edited. And why in the world would a P2P platform alude twice to Ponzi schemes in FAQs, as in the example below, copied from Incomelend’s site? CAN INCOMLEND USE CUSTOMERS’ FUNDS FOR ANY OTHER PURPOSE THAN BUYING AND SELLING ACCOUNT RECEIVABLES (PONZIE SCHEMES, USE OF THE FUNDS FOR PERSONAL BENEFIT, THEFT OF FUNDS ETC)? Hopefully they will tackle these issues soon. Thank you for your feedback on the Incomlend website. 1. Regarding the information on the company and the founders, it is publicly available in different networks like LinkedIn, Facebook or specialized sites like angel.co / sgpbusiness.com. Company information is also publicly available on Singapore’s official company registrar, the ACRA. We take your comment into account to add relevant links. 2. Regarding the insurer name and project listings, they are fully disclosed and available to our registered clients (who passed KYC and were approved by our Trustee) on our separate and secure exchange trading platform. We cordially invite you to register and become member of our international community of invoice traders. 3. Lastly on your comment regarding Ponzi schemes, duly noted. We are sure you are aware that this is a common phenomenon and many of our investors put emphasis on preventing this risk. We remain at your disposal if you have any additional question or comment at info@incomlend.com. We are looking forward to seeing you on the platform and start making more out of your cash in a risk controlled environment.